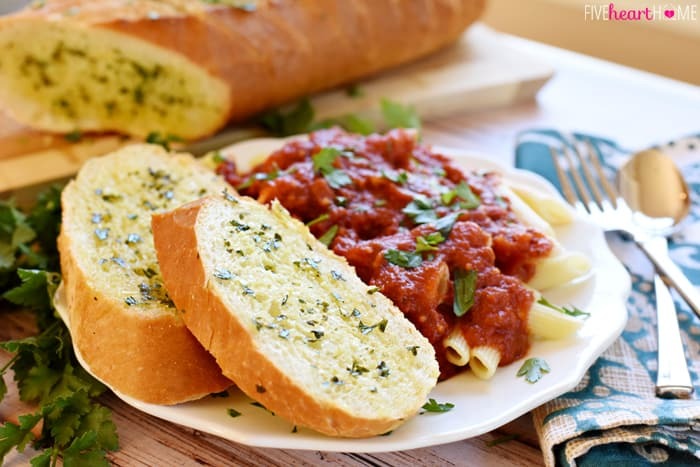 Quick and easy Garlic Bread with Fresh Garlic & Parsley turns a store-bought loaf into the perfect accompaniment for Italian food! Today, my friends, I bring you carbs. 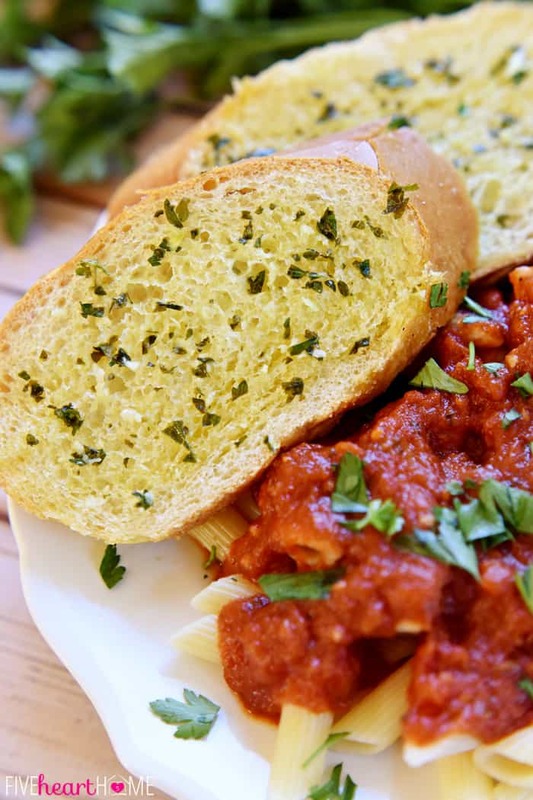 Not just any carbs, though…warm, bread-y, buttery, garlic-laced, parsley-sprinkled carbs that just might steal the show when served alongside your favorite Italian entrees. 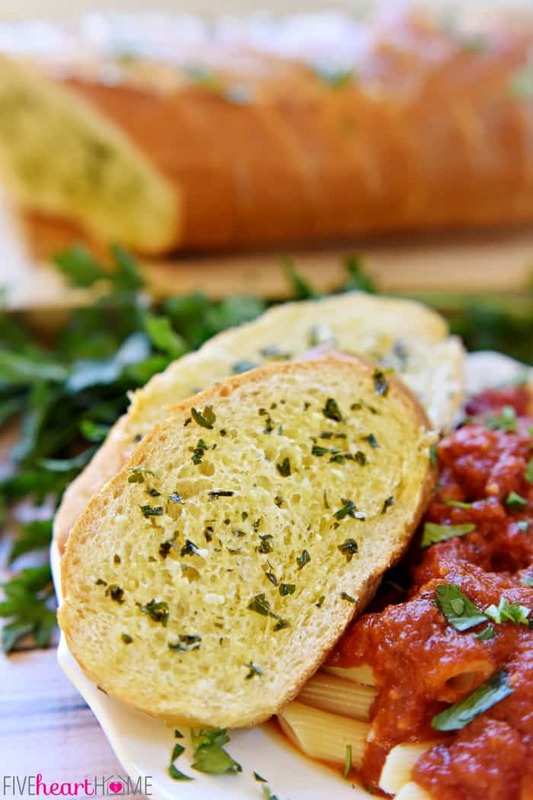 This is my favorite way to make garlic bread, and so much fresher tasting (AKA, less artificial tasting) than those frozen loaves of garlic bread that you can buy at the grocery store. 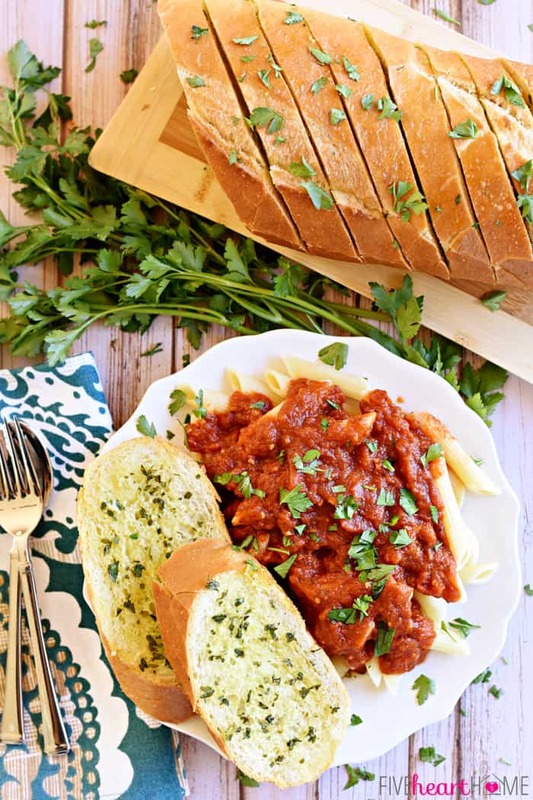 I like to serve this bread alongside spaghetti with red sauce, Cheesy Chicken Spaghetti, 30-Minute Skillet Lasagna, Baked Ziti…and it’s even delicious dunked into jarred or homemade marinara sauce! Or, you can bake some up one day for a blog post, take photos of it, and then proceed to eat seven or so pieces for “lunch.” Carbs, shmarbs. 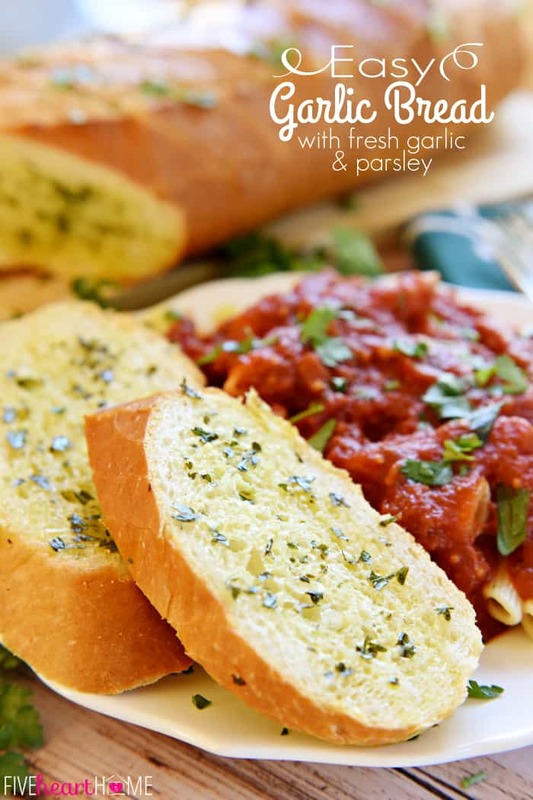 The method for making this Garlic Bread is simple and takes just a few minutes. 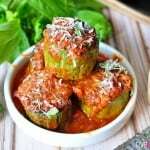 Blend together softened butter and smidge of olive oil, then season with salt, fresh minced garlic, and fresh minced parsley. 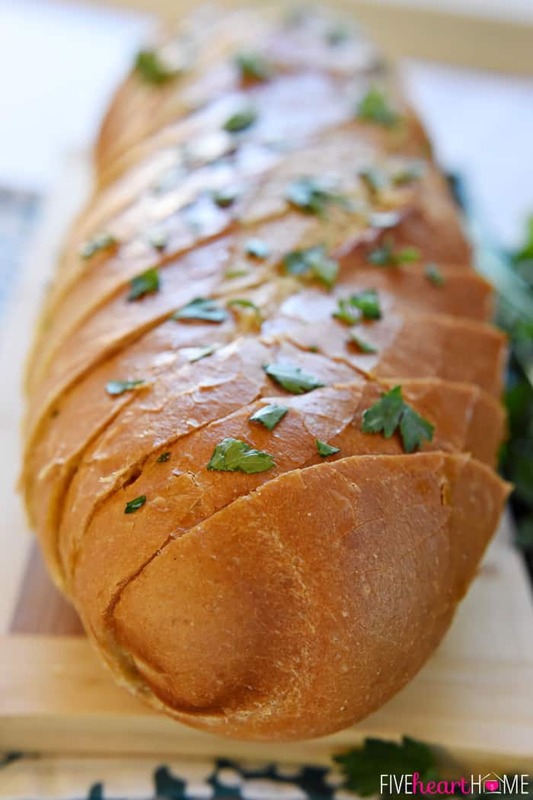 Cut a big, soft loaf of Italian or French bread into 1-inch slices, taking care not to cut all the way through the bottom of the loaf. Spread the butter mixture onto each piece, wrap the loaf with foil, and bake just long enough for the bread to get warm and the garlic butter goodness to soak in. Yes, it’s totally as addictive as it sounds. See above reference to seven pieces in one sitting. Ahem. 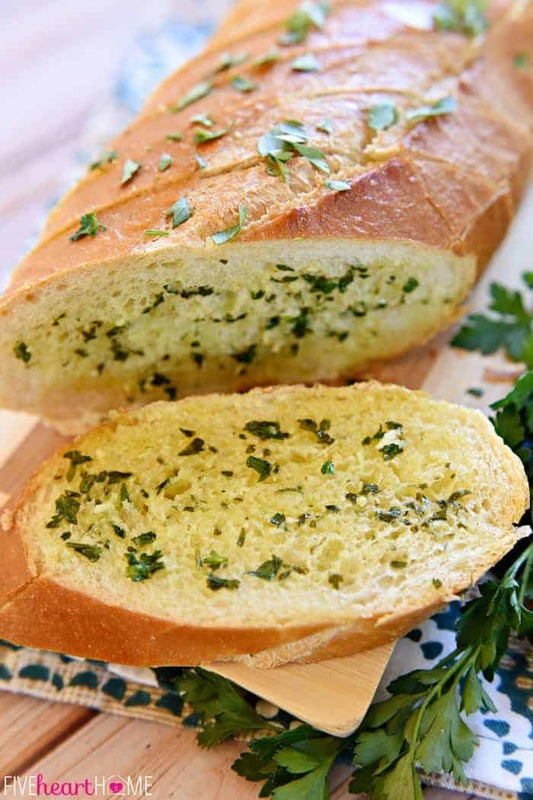 If you have other fresh herbs at your disposal, feel free to jazz up this Garlic Bread beyond parsley. 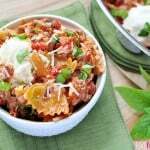 I think a smattering of basil, oregano, and/or thyme would be a lovely complement to Italian entrees, but you could really match the herbs to just about any cuisine. This other nice thing about this bread is that you can prepare it ahead of time, wrap and refrigerate, and then bake just before it’s time to eat. It might require a few extra minutes in the oven if chilled, but it’s always nice to be able to prep parts of a meal in advance…particularly if you decide to serve this recipe at a party or as part of a large Italian buffet! Adjust rack to center position of oven and preheat to 350°F. 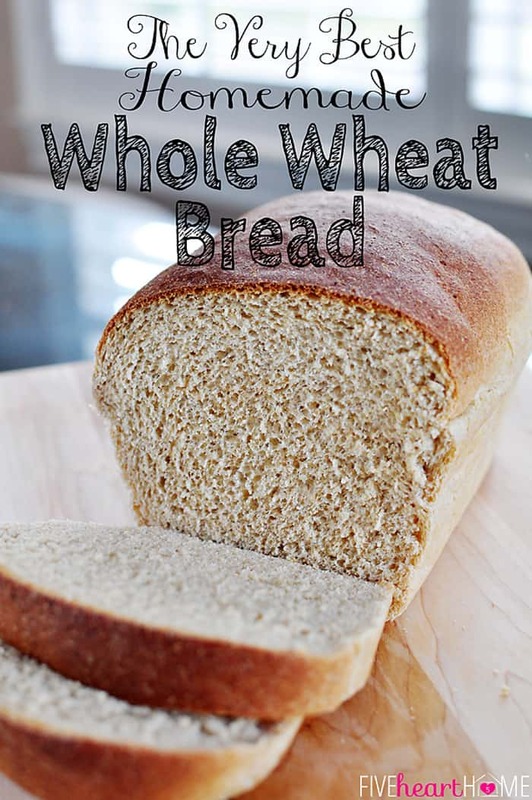 Slice bread into 1-inch slices, stopping short of cutting completely through so that the bottom of the loaf stays intact. In a small bowl, stir together softened butter, olive oil, and salt. Mash minced garlic with a fork until it forms a paste. Scrape garlic paste into butter, add minced parsley, and mix until well blended. 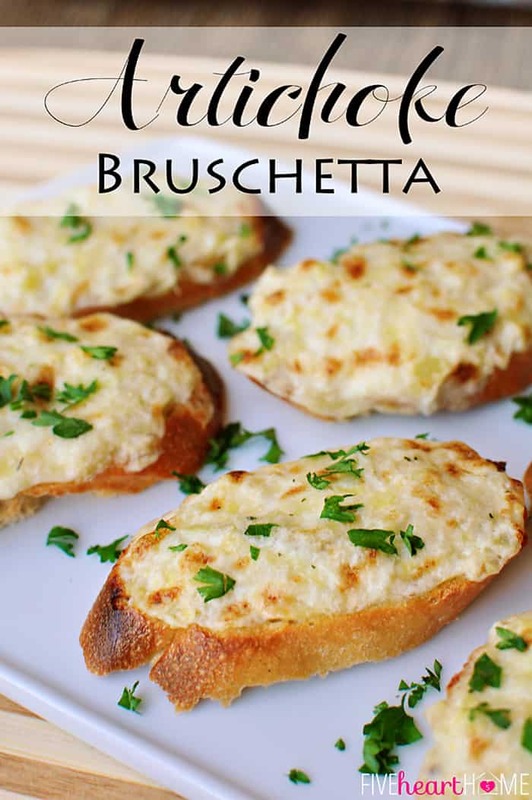 Spread garlic butter on one side of each slice. Wrap loaf in foil and bake for 15 minutes. Open the top of the foil and bake for an additional 5 minutes. Serve hot. If using salted butter, slightly decrease the amount of additional salt. 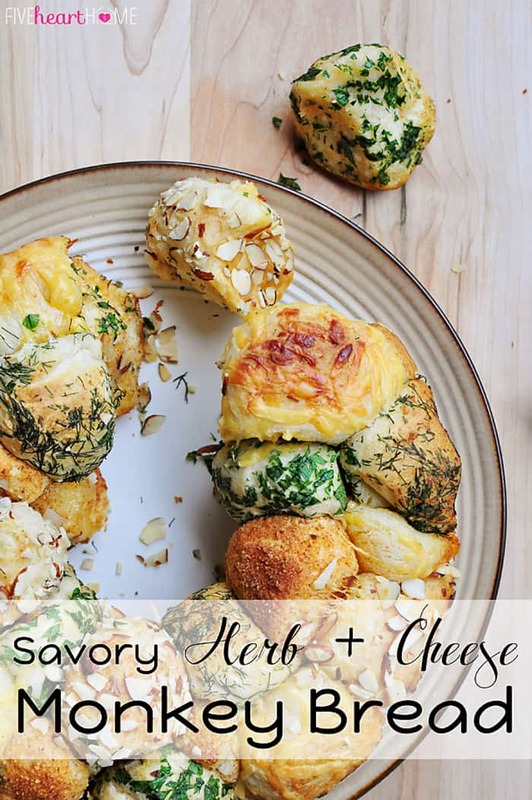 For a brighter flavor, substitute other herbs for half of the parsley, such as basil or a combo of basil, oregano, and thyme. To make ahead of time, you may prepare bread, wrap in foil, and refrigerate for up to 12 hours. Allow to stand at room temperature for 30 minutes before baking as directed. You certainly are a woman after my heart!! And stomach! 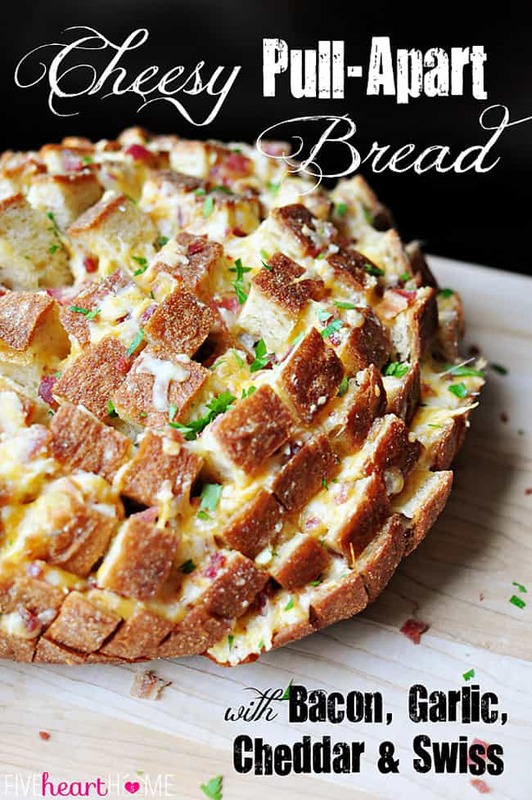 ;-} This bread looks fabulous…and no doubt it is. Thanks for sharing with us at Weekend Potluck. Hope you have a super weekend Friend. 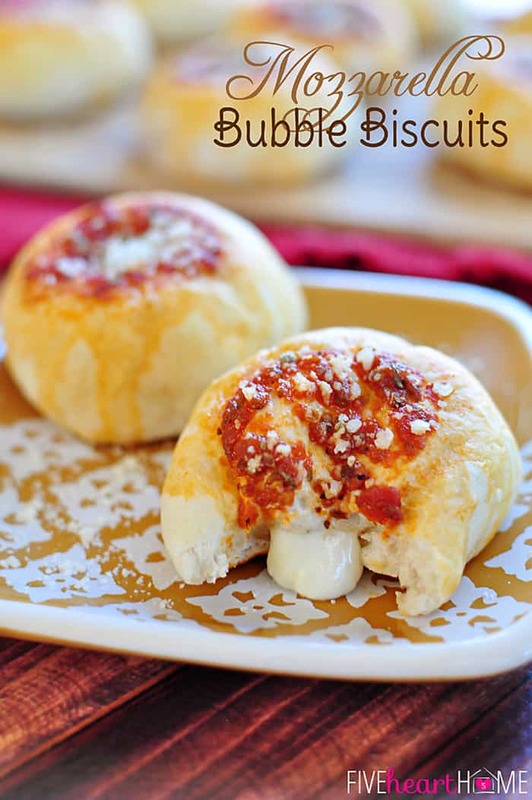 Ohmygosh my mouth is watering…. I need to try this asap! Thanks for sharing! You’re welcome, Fatu…I hope you enjoy it! Hi, Samantha! I made two loaves last Sunday with a lasagna and they were incredible! It was delicious! Very easy to do, thanks! I’m so glad to hear that y’all enjoyed this bread, Madelyn! 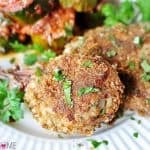 It’s definitely an easy and tasty recipe, which is why I love it as well. 🙂 Thanks for letting me know it was a hit…hope you have a great week!